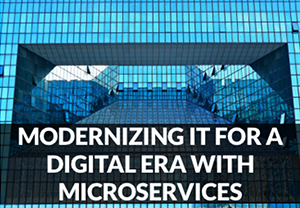 A microservices architecture is not a new style of building large scale enterprise applications. Companies like Netflix and Amazon have implemented a microservices architecture to deliver successful products over the last few years. But is a microservices architecture right for your organization? What should you focus on when getting started? How do microservices affect your business model?